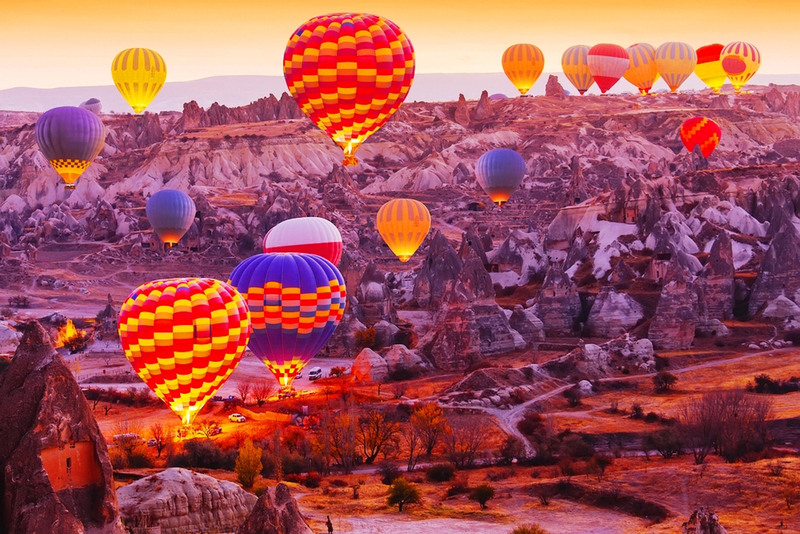 Enjoy an amazingly serene and smooth journey as you take off above the colourful, dreamlike landscape of Cappadocia. Rather than flying, it feels more like floating through the air, high above this unbelievable destination. You’ll gain a new perspective of the world from above, towering among the coloured valleys, soaring high over the stone columns and peering into the pigeon holes and caves with snowy mountains in the distance. There is a reason so many hot air balloon trips end with a glass of champagne! The breakfast after the ride, with brilliant views surrounding you, is just an icing on the cake. 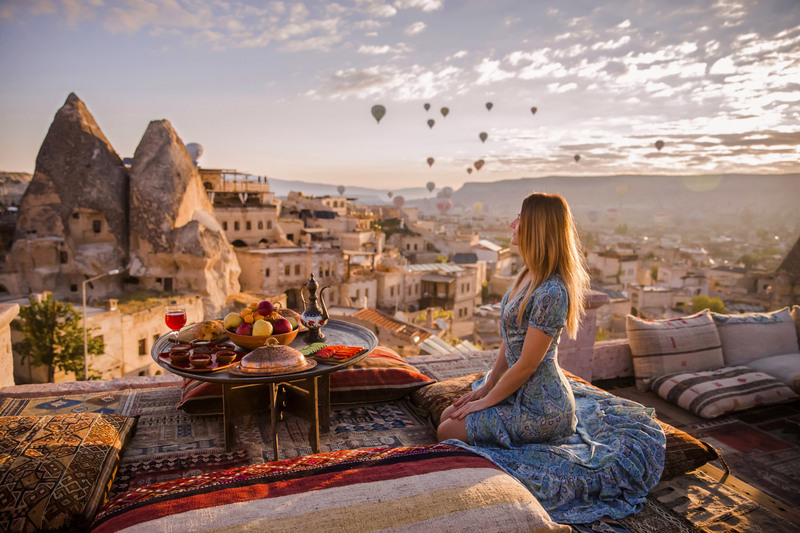 Plan on staying in Cappadocia for 2-3 days and get a place with a balcony or a rooftop so you get to see the hot-air balloons rising up into the sky at sunrise which is nothing short of spectacular.